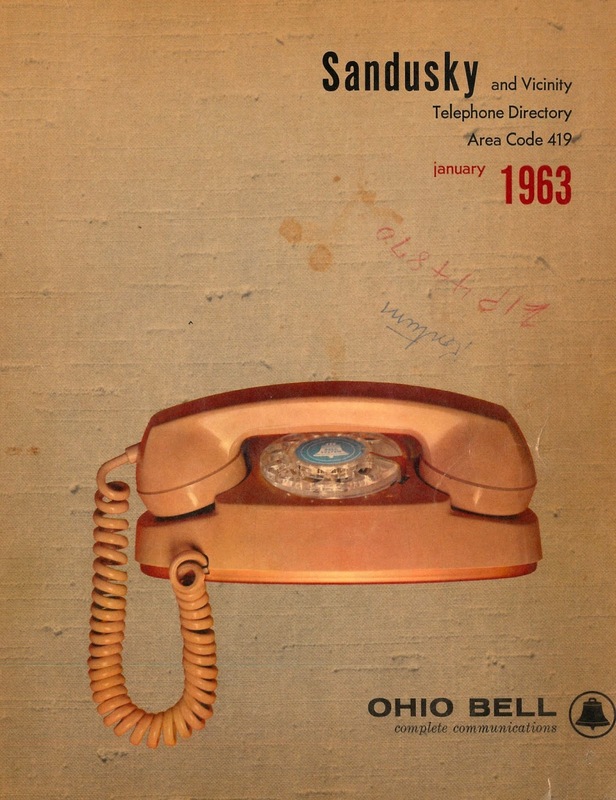 Housed in Archival Box D-14 is this Sandusky Telephone Directory, published by Ohio Bell Telephone in 1963. 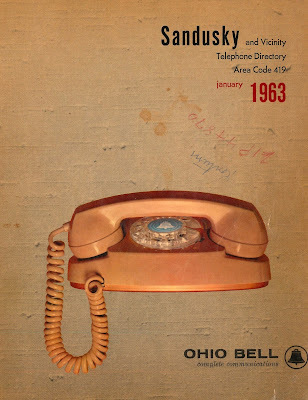 A princess phone graces the cover of the directory. 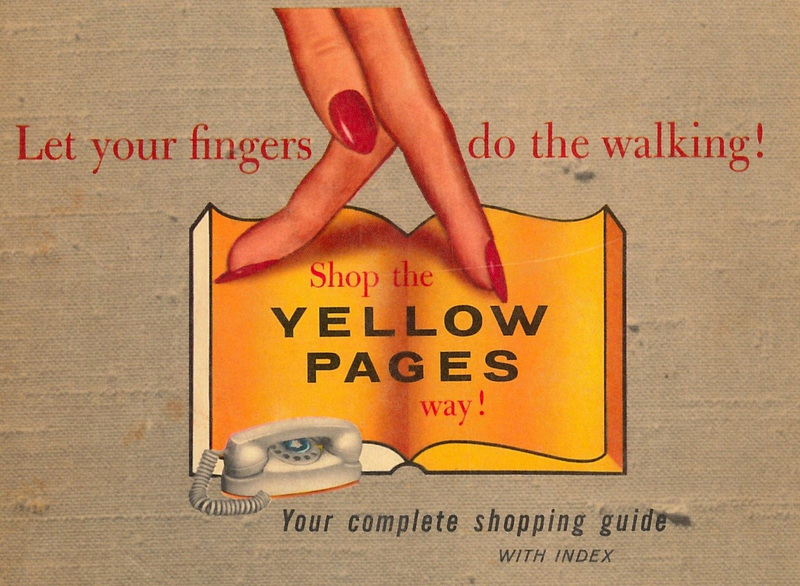 Special features of the princess phone was its petite size and light-up dial. 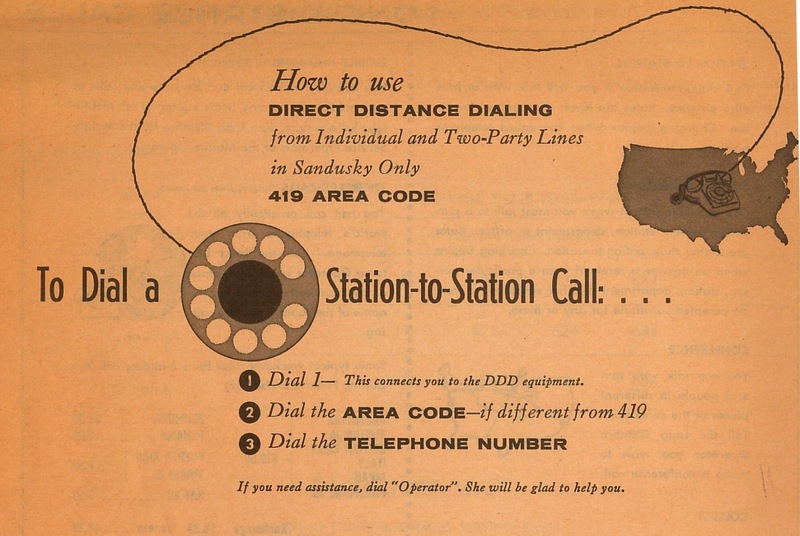 A relatively new function of telephones in the Ohio Bell system in 1963 was the ability to dial long distance phone calls directly, using the digit 1 and the area phone before the regular telephone number. 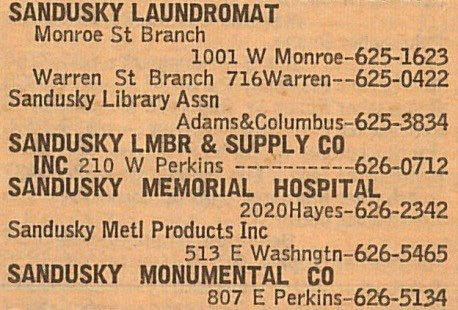 As you can see in the alphabetical listings of telephone numbers, Sandusky Library had the same telephone number that it has today: 419-625-3834. 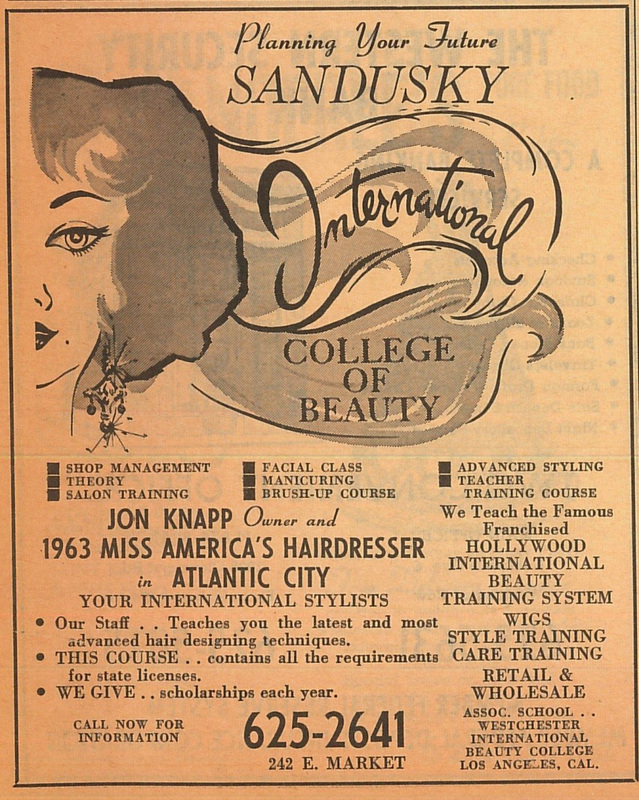 Many residents will recall the International College of Beauty, owned and operated by Jon Knapp, who was the hairdresser of Miss America 1963, Jackie Mayer. 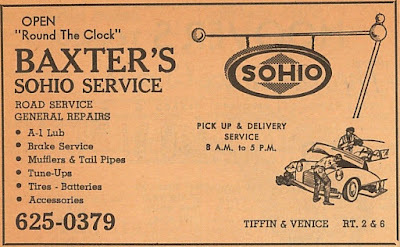 Before Standard Oil was bought out by British Petroleum, Baxter’s Sohio station offered round the class road services for automobile drivers. 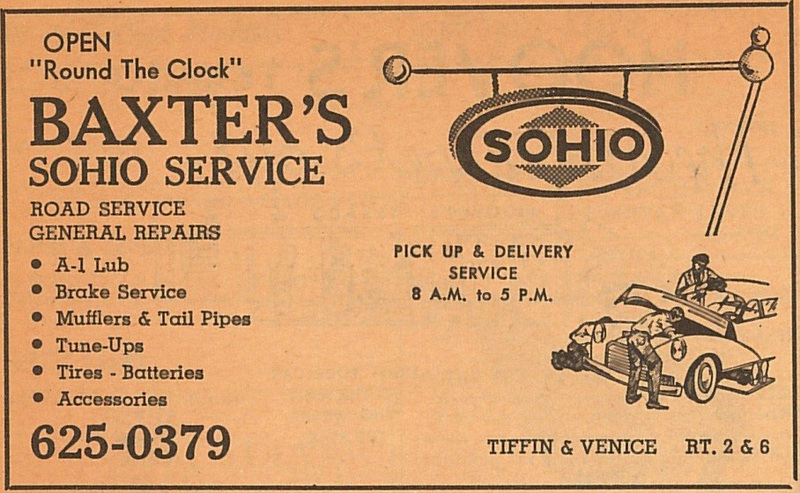 There were several service stations located at the intersection of Tiffin Avenue and Venice Road in the 1960s. 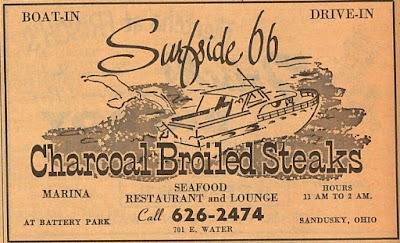 Surfside 66, a seafood and steak restaurant at Battery Park offered drive-in as well as boat-in service to customers. 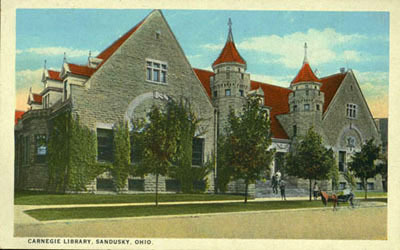 Visit the Sandusky Library Archives Research Center to see this vintage telephone directory, and many, many more resources which document the history of Sandusky and Erie County. Since when were Sandusky phone numbers 7 digits long? When I was growing up there (1940's and 50's), our home phone number was 2424-J. 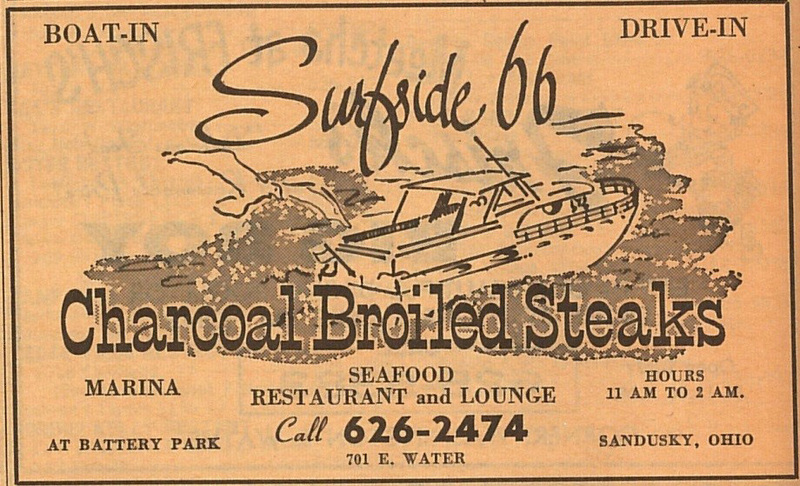 We were, like most others, on a party line. Also, when making a long distance call (one would do so usually only if someone was sick or dying!! ), we had to first speak to the operator. For the 7 memebers in our family, we had only one phone in the home; it was in the dining room (not much privacy when on a personal call). Going back even futher in time, before she married my mother worked as a telephone operator back in the early 1920's, when the phone company was, I understand, located in a building on the NW corenr of Jeffferson and Wayne Streets.